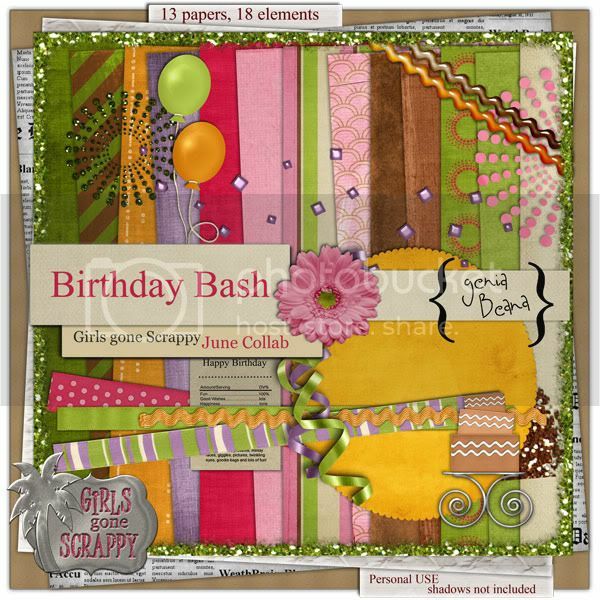 geniaBeana Scraps: GGS Collab and BIG BIG NEWS! I am SOOOO excited to announce the opening of my very first shop! I'm now an exclusive designer at Scrapable.net. Today is the grand opening. To celebrate I'm having my first sale! I've got a gorgeous new kit in my store, too. And here we are at the beginning of a new month. With it brings the GGS monthly collab freebie! Girls Gone Scrappy have done it again. We've put together an awesome birthday themed kit for our June collab. You have to go to the GGS blog to download, but I've got a nice little freebie for you here, too. grab it here. I look forward to reading your comments here, and at GGS. Oh yeah, don't forget to snag my new blinkie. You could receive a RAK! 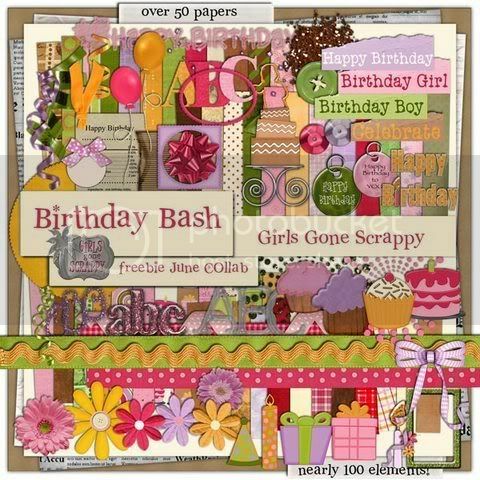 Your new kit is gorgeous, and I love the birthday freebie mega kit! Thanks so much!!! Thank you so much for this Freebie. 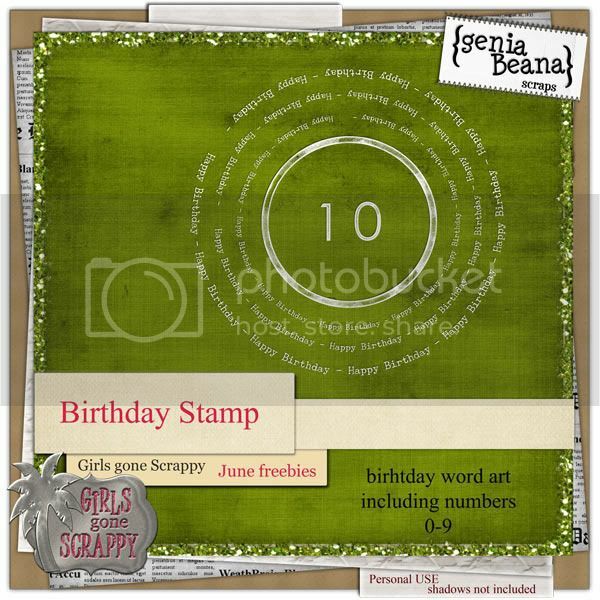 I want to let you know that I posted a link to your blog in Creative Busy Hands Scrapbook Freebies Search List, under the Wedding, Birthday/Party Theme(s), Mardi Gras/Carnaval Theme post on Jun. 01, 2009. Thanks again.